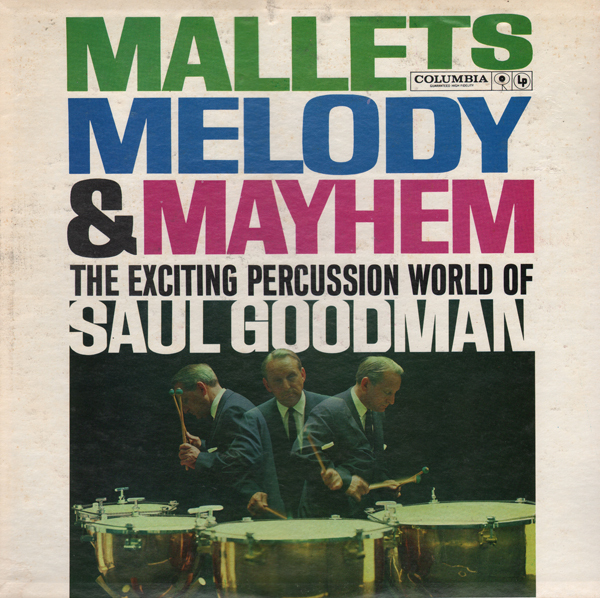 From the back cover: The Saul Goodman Percussion Ensemble in addition to Mr. Goodman, includes Walter Rosenberger, Elden (Buster) Bailey and Morris Lang. In this recording, Ronald Gould and Herbert Harris assisted as guest members. 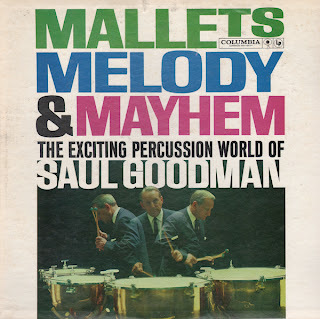 Mr. Goodman, who composed many of the works in this collection, is the author of A Modern Method For Tympani, and his pioneering work in percussive music has included the invention of a tuning device which is now used extensively around the world. 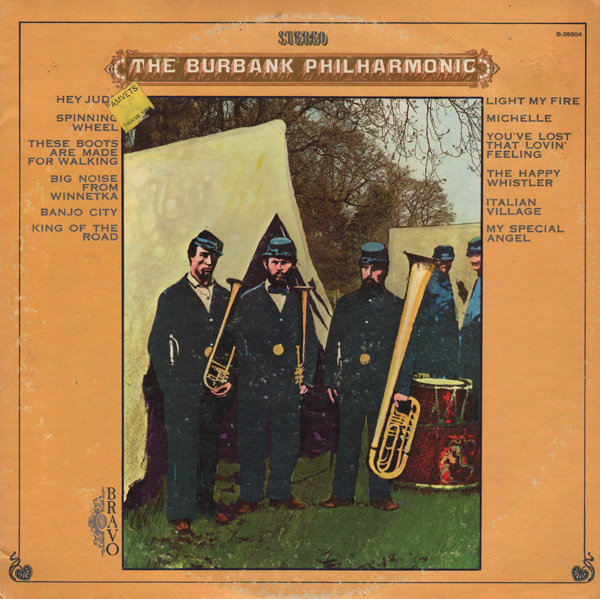 Perhaps this album was made to introduce professional percussionists to new approaches. 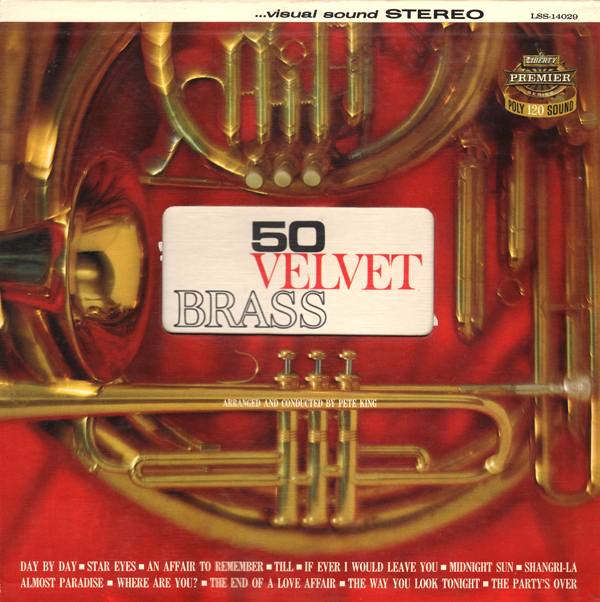 The album, to my ear, is not a pop album as the cover may suggest. The approach is to blend concept, pop and even classical to create, for the most part, a dramatic listen. 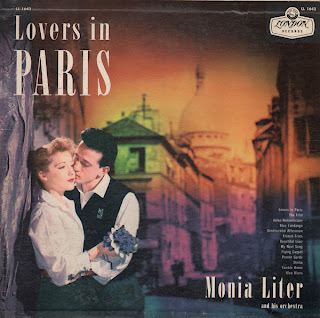 From Billboard - March 16, 1957: Formerly out on London (review for a reissue on Richmond B20012) this set of romantic, lushly arranged mood fare should find a ready market in the low priced field. Ork highlights strings, somewhat in the Mantovani manner with sprightly sound of a harpsichord also featured. It's soft, liquid stuff, and the tunes include "Lovers In Paris." "Valse Romantique," "Flying Carpet." etc. Sound is unusually good. Nice smooth set that sparkles with a bit space age flare throughout. 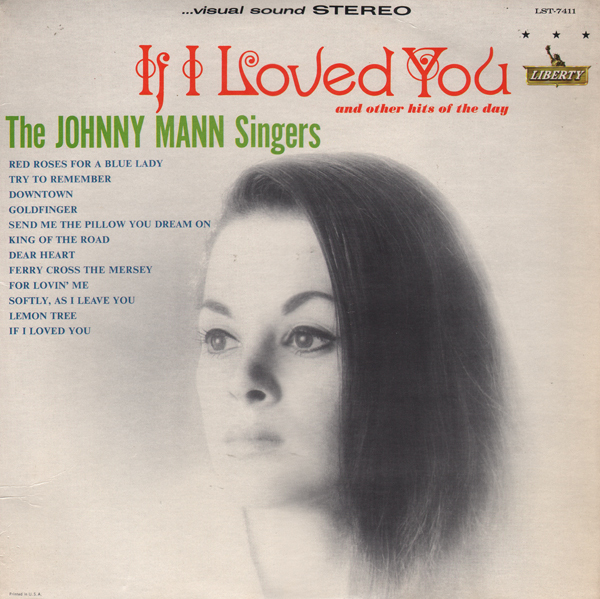 Basic Mann light pop vocals, but featuring an interesting arrangement on the above sample. 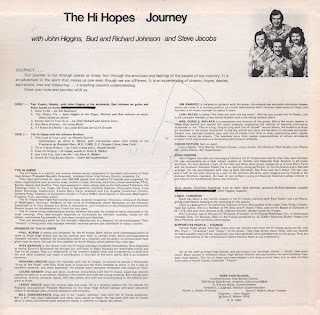 From the back cover: The Hi Hopes is a colorful and unique musical group, outgrowth of the music instruction at Hope High School (Trainable Mentally Retarded). Anaheim Union High School District, Ca. 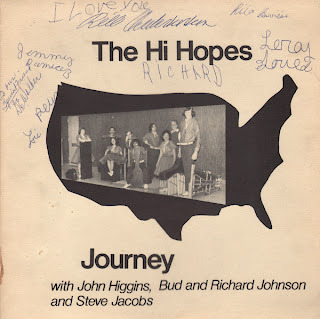 They have performed for more than 350,000 people (not including TV specials and programs), for many organizations as service clubs, women's clubs, churches, sororities, school assemblies, PTAs, Scouts, dances and benefits. They have appeared in many places such as the Hollywood Palladium, the Flamingo Hotel in Las Vegas, Cal Expo in Sacramento, Anaheim Stadium, Disneyland Hotel, Long Beach Municipal Auditorium, Knotts Berry Farm, Anaheim and Los Angeles Convention Centers, Cerebral Palsy, Telethon at Convention Center in Fresno (CBS), State Capitol in Olympia, Washington, Freedom Train, and many other. 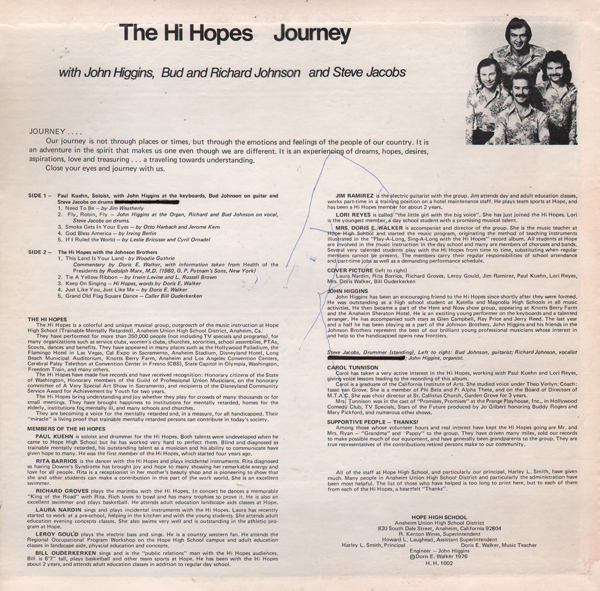 The Hi Hopes have made five records and have received recognition: Honorary citizens of the State of Washington, Honorary members of the Guild of Professional Union Musicians, on the honorary committee of A Very Special Art Show in Sacramento, and recipients of the Disneyland Community Service Award for Achievement by Youth for two years. 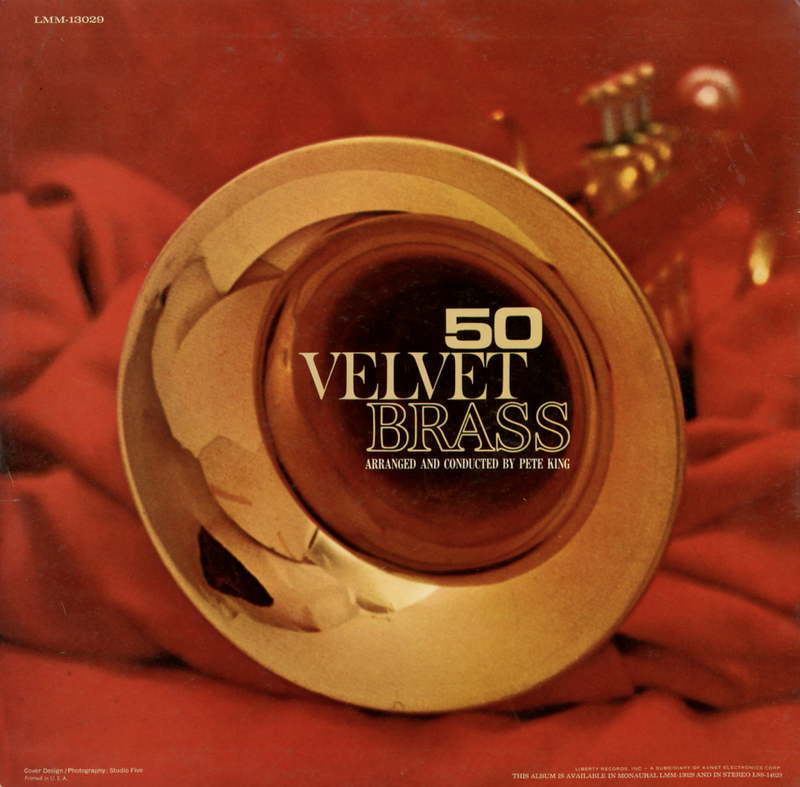 Sweet space age big band brass set. From Billboard - November 23, 1963: Lovers of big band sound will find this package tailor-made to their tastes. Pete King's arrangements make the tunes like "Day by Day," "Till," "The Party's Over" and others great for dancing or listening. 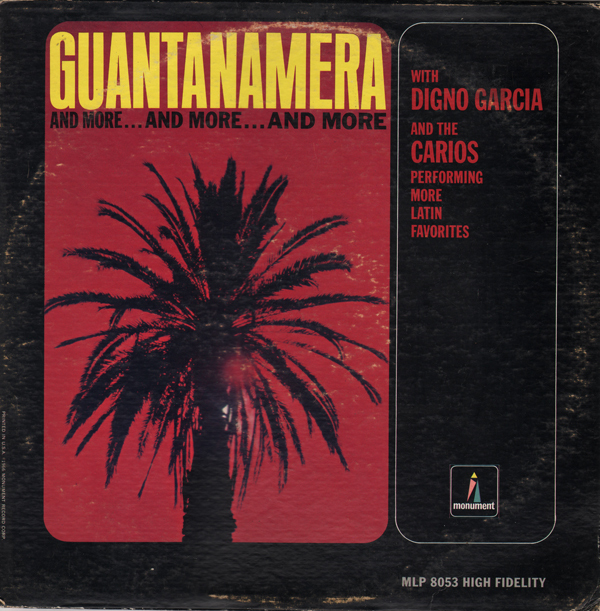 Great spin material for the deejays. 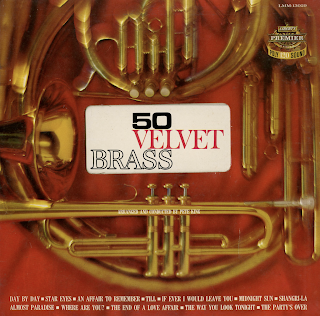 The album jacket is a gatefold with die cut revealing the title, "50 Velvet Brass" which is printed on the inside cover. The End Of A Love Affair. This album, is frequently overlooked in the discount bin, probably due to the sugar coated cover graphic. However, the record is worth collecting as it features many interesting and cool Mancini arrangements. Promotional DJ Copy featuring bilingual jacket notes that received some commercial distribution in the U.S.
Garcia was living and recording in Belgium at the time he made this album. See this post for more information on the artist. I was in a hurry and almost thumbed past this album in the bin when the title, "Hey Jude" caught my eye. What the hell? Holy blend of Dixieland and the hits of the day, Batman! 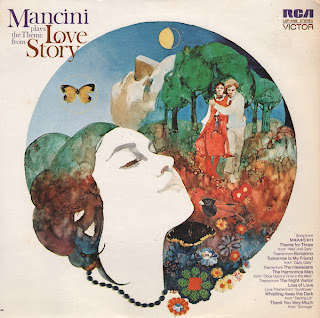 What a fabulous LP! You have to hand it to the folks who risk making crazy records like this. Thumbs up Wilder Brothers! From the back cover: ...they (The Wilder Brothers) have taken a traditional field and refurbished and revitalized the Dixie sound and convoluted it into a whole new bag... this hybrid has turned out to be an outstanding accomplishment and one of the most beautiful listening devices in many a moon. The Wilders constructed a special contra bass saxophone (that talks and wets), and stands eight feet tall (especially when it's proud). 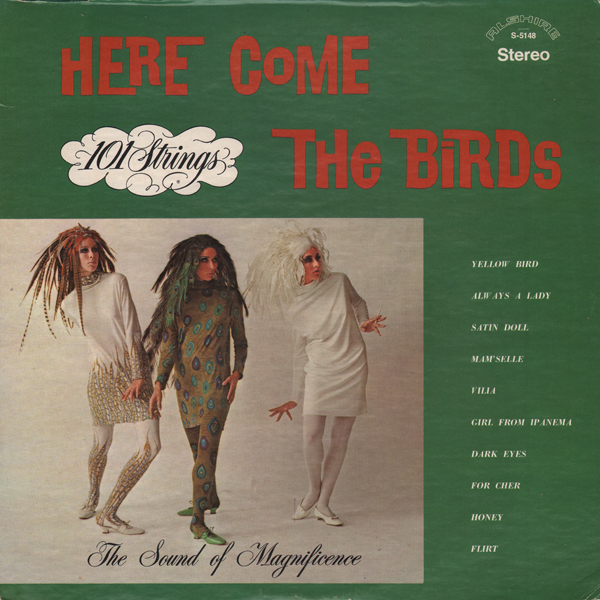 From the back cover: Dedicated to the bird lovers and bird watchers of the world. Be it deep in the prime-evil forest, on the rolling slopes of the country meadow-land, on a favorite lake or river, or relaxing at the seashore – or – on your favorite street corner watching the birds go by. Our fine feature friends – the birds, red heads, blondes, brunettes. Bird watching is a favorite pastime for the birdlovers of the world. Enjoy this program – it's for the birds! GeeGads... the Alshire copy writer must have stayed up all night sweating over that blurb. Here is an obscure 101 sporting a fabulous jacket image. The content is thematically uneven and for the most part, falls short of delivering the sound that might better reflect the cover graphic vibe.